All new orders placed today by 2 pm MST will be shipped out same day. Order your supply list online. Order any number of additional required items (if you already own the Webster’s dictionary that is required you will not have to purchase it through our program). Receive your school supplies in an environmentally friendly, reusable shopping bag complete with your student’s name and grade level. Teachers receive standardized supplies that they want in the classroom (when you order Crayola you get Crayola). Students receive quality brand name products that will last the entire school year. Parents save money and valuable time over their summer holidays. Packages will be delivered to your school on your specified delivery date. Packages are labeled (name / grade level) for the first day of school. Schools will be provided with a summary sheet of all students who have ordered supplies through School Start. Parents will be able to view confirmation orders online along with delivery details. Provide grade specific supply lists to School Start. School Start to provide a customized supply list for the school to sign-off on. Promote the School Start back to school program via newsletter (template will be provided). 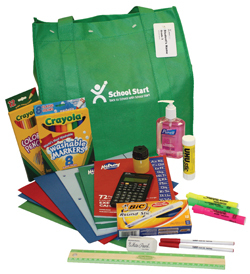 Distribute supply lists or have parents download form & order online (www.schoolstart.ca). Collect order forms with payment for those parents who have not purchased online. 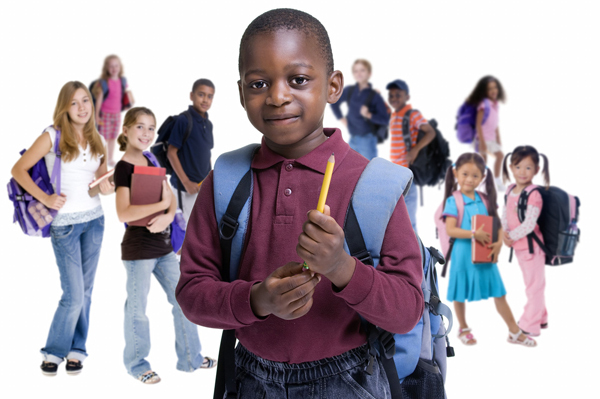 Receive delivery of School Start back to school supplies during the week prior to the first day of school (school to provide requested delivery week).